Was there ever any doubt that Brittney Reese would win an unprecedented third gold medal in the women’s Long Jump at the IAAF World Championships? After yesterday’s qualification round, yes there was. She only just squeaked through to the final as her jump of 6.57m was good enough for 12th place – and even then on count back. But today’s final was a completely different story. Britain’s Shara Proctor – who led the qualifiers with 6.85m despite taking off 26cm behind the plasticine – didn’t live up to her seven-metre promise and finished down in sixth. 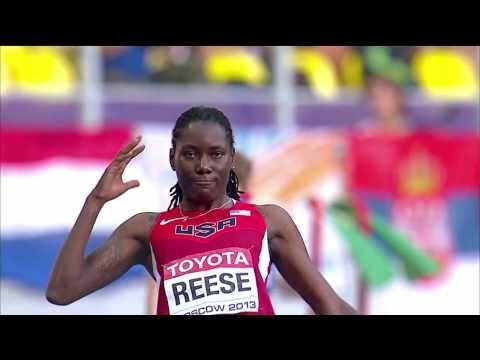 Reese, meanwhile, was the only athlete to break seven metres, taking her third successive World title with a jump of 7.01m. She didn’t have it all her own way though, as Blessing Okagbare opened with 6.89m; significantly farther than Reese’s opening 6.50m. Ivana Spanovic of Serbia had the second-best mark of the opening round with 6.70m. In round two, Reese flew out to 7.01m to take the lead. Volha Sudareva of Belarus moved into the bronze medal position with 6.82m with Proctor (6.79m) and Darya Klishina (6.76m) close behind. There were no significant improvements in rounds three or four, but the penultimate round saw a change in the medal standings. Spanovic bounced back into a podium place with a national record of 6.82m, moving ahead of Sudareva on count-back. Later that round, Okagbare looked to have taken pole position from Reese, landing right in line with the seven-metre mark. But her effort was measured at 6.99m, just two centimetres shy of the US leader. Reese responded with a 6.95m, while Okagbare challenged again in the final round with 6.96m, but once more it was not enough and Reese was crowned the champion. Reese has now won more World Championship gold medals in this event than anyone else in history; more than legendary jumpers Heike Drechsler, Jackie Joyner-Kersee and Fiona May, all of whom won two each. 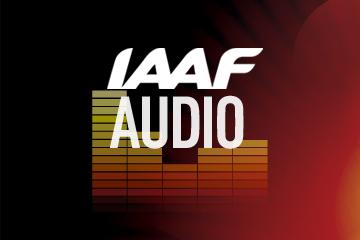 With eight athletes over 6.73m, it was the best-depth women’s Long Jump final in World Championships history. Silver medallist Okagbare became the first African woman to win a World Championships medal in this event, while Spanovic became Serbia's first ever World Championships medallist; the country having only been entered as a separate nation since 2007.